Welcome guys to No Sky Visible’ first ever Throwback Thursday! 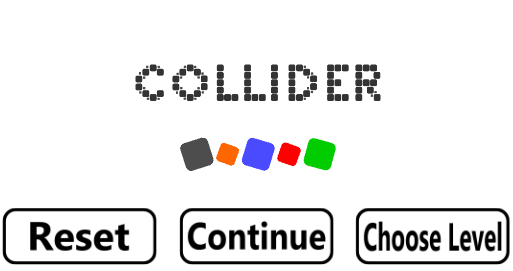 Since it’s our first time doing this, why not start off with something special to the developer’s hearts, let’s take you back a few years and look at NSV’s first ever game: Collider! Collider was a fun little touchscreen prototype made to test the waters of the newly founded No Sky Visible with Ben Sutcliffe, Paul Sanderson and Paul Brand first getting together to create a small video game in preparation for Sheffield Tramlines festival 2013. 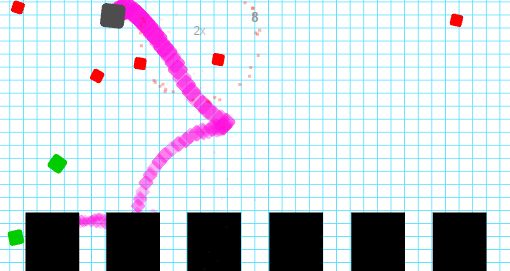 This touchscreen prototype in itself was a challenge in the beginning since none of them actually knew how to make a game and when there’s 10 levels to make from scratch and code, that can be a problem. However, driven by nerdy gaming passion, many hours working and maybe a few tutorials here and there they blasted out a creative, engaging and fully playable game with Ben and Paul B leading the design front and Paul S hitting it hard at the visual coding (thus Programmer Paul was born). 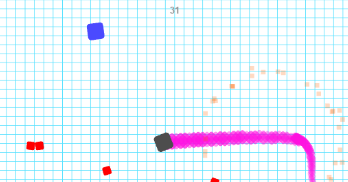 Collider was realistic in scope which led to it being simple in design with small blocks flying around the screen after a collision (hence the name) and in a colourful blaze the players block would rush to smash the others in a limited amount of time which is kept fresh with the gradually more complex and interesting levels. This was a huge eye opener for the team because it wasn’t just about making a game prototype, it was also about getting it out there to the most important part of any business, you guys! So after the completion of Collider, it found its new home on the gaming website Newgrounds where you can still play it today! For No Sky Visible, Collider was the first step in their story and although it didn’t get a tremendous amount of views, it still proved that a bunch of strangers could come together to make a game, do it well, and get it out to the public and because of Collider, it led to later games being developed together, getting featured on the front page of Newgrounds and then onto the development of their first big commercial release: Vanishing Point!